Art UK: How is it that you came to live at Chartwell, former home of Sir Winston Churchill? 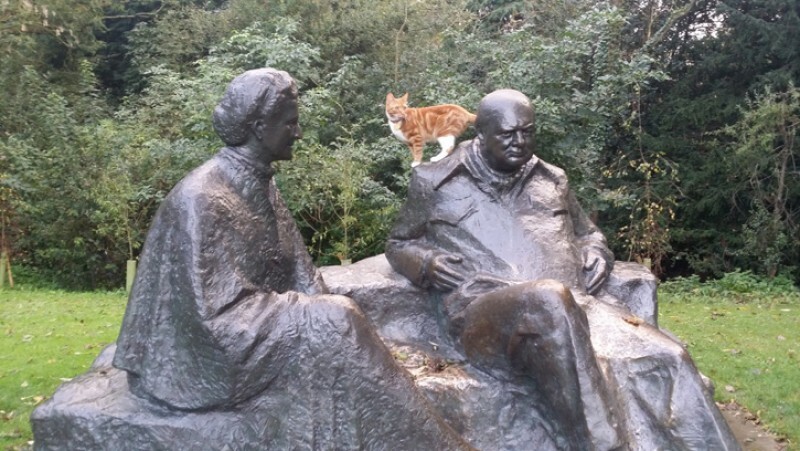 Jock: The Churchills lived at Chartwell for over 40 years and in that time had lots of pets and animals here including plenty of cats. 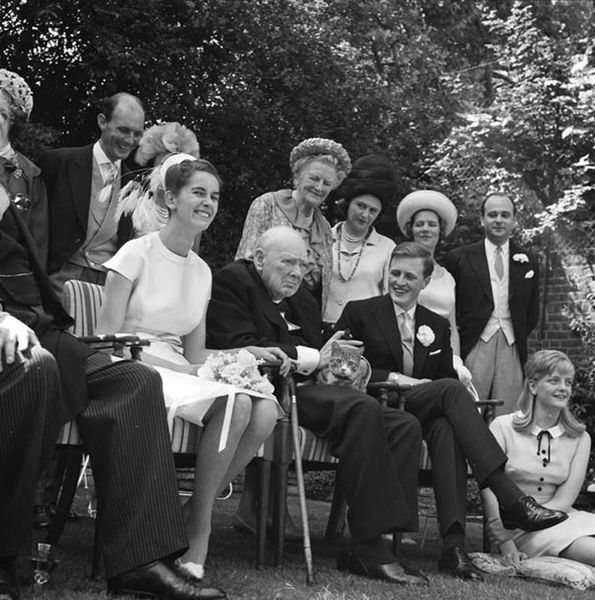 On Sir Winston’s 88th birthday he was given a marmalade cat called ‘Jock’ who he loved very much, so much that Jock was even a guest of honour at Churchill’s grandson’s wedding, taking pride of place in the middle of the family photos. When it was agreed that the National Trust would take over the management of Chartwell, it was requested that a marmalade cat, called Jock, with four white paws and a white bib should live in ‘comfortable residence’ at Chartwell forevermore and since then we have had a few lucky cats come to Chartwell to honour this request. 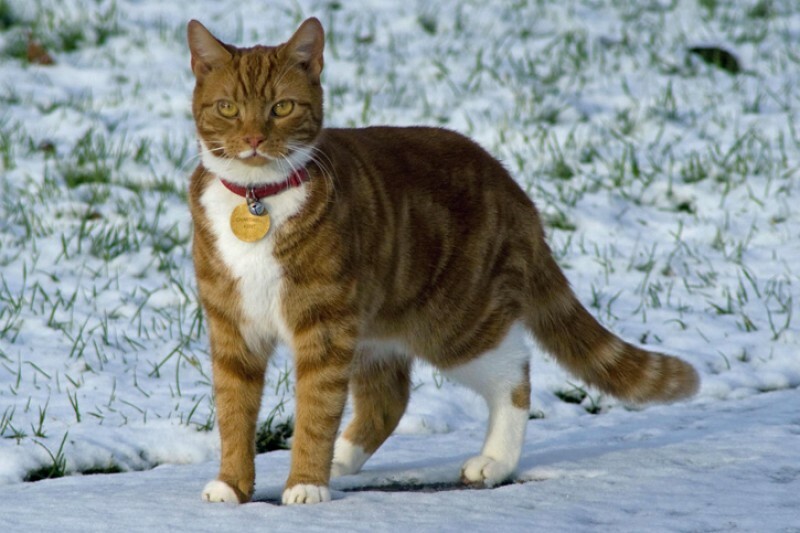 I am Jock VI and my duties include entertaining visitors, sunbathing and playing around the 80 acres at my disposal. When I first arrived at Chartwell, our House and Collections Manager and I did an interview which is available here (https://www.youtube.com/watch?v=HZn_AblVzL8) if you fancy a peek. 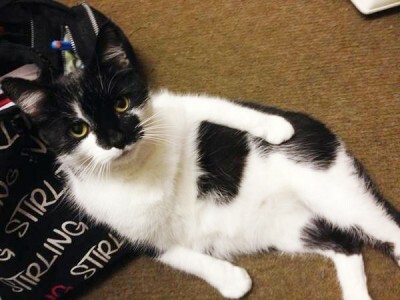 Art UK: You have been Cat-in-Charge now for two years. Are there any paintings of you, and are they on show to the public? 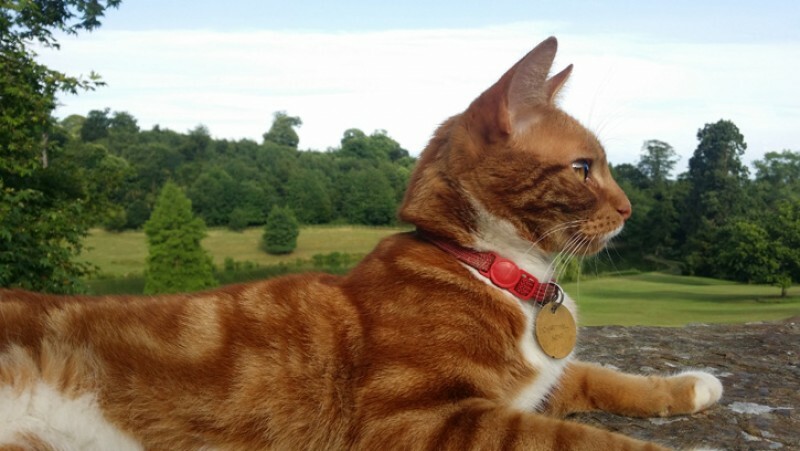 Jock: Sadly there are no paintings of me here at Chartwell, or the Jocks who’ve gone before me but there are a few pictures of other cats that the Churchills owned here at Chartwell. One is called Tea at Chartwell, which was for Sir Winston and Lady Churchill’s silver wedding anniversary and had ‘Tango’, another marmalade cat, enjoying some milk on the table – lucky him! This is one of my favourite paintings and hangs on the wall in the Dining Room at Chartwell. Art UK: If you could go back in art history, who would you have chosen to do your portrait? Jock: I would have loved to have been painted by Sir Winston Churchill himself. From the age of 40 onwards he painted over 500 paintings and was appointed a Royal Academician as well as having won a number of amateur painting competitions. He used really bright colours, which I like very much, and did some lovely ones of my home at Chartwell, so it would have been nice to have snuck in. He painted my friends the black swans once, and we even have some of them here today still – so if they get a picture I definitely think I should too. Art UK: Are there other cat painters you like? Jock: There are lots of cat artists that I like very much but I think my favourite might be Sir William Nicholson’s depictions of the Churchill family’s cats. Nicholson was a friend and art-mentor to Churchill and the pair spent lots of time painting together. On one of his visits to Chartwell, he sketched Tango having a nap and I love how cosy he looks – and that’s just how I look when I’m asleep here at Chartwell. The note at the bottom reads 'My love to your cat please – W.N', which is very nice. All cats should get love and portraits. Art UK: Are there other paintings to your taste in Chartwell’s collections? Jock: Well, my favourite thing in the world is fish, so my taste is particularly drawn to pictures of the fish we have in our lakes and ponds here at Chartwell. The Goldfish Pool at Chartwell was painted in 1935 during Sir Winston’s ‘political wilderness’ and before the Second World War. He really enjoyed sitting by the ponds and feeding his golden orfe. In later life, he would sit by the pond and tap his walking stick on the ground to summon the fish and inform them that it was feeding time. He truly loved all animals, but as these would be so delicious, I have to say this is one of my favourite paintings. It is however, unfinished, and hangs on the easel in the Studio, as if awaiting for Sir Winston to return with his brush and oil paints once again. Art UK: So, Jock – what other creatures feature in the art collections at Chartwell? Jock: One other animal that features quite prominently is horses. Sir Winston had been a cavalry officer when he was younger and played polo into his fifties, after which he went on to own a number of racehorses. His favourite was Colonist II who was his most successful racehorse. A painting of Colonist II, by Raoul Millais (1901–1999) hangs above the fireplace in the Drawing Room here at Chartwell. It is very telling that he had such pride of place in the room that the family would go to spend time together after dinner. He looks like a very fast horse to me, though I like to think I could out-run him. 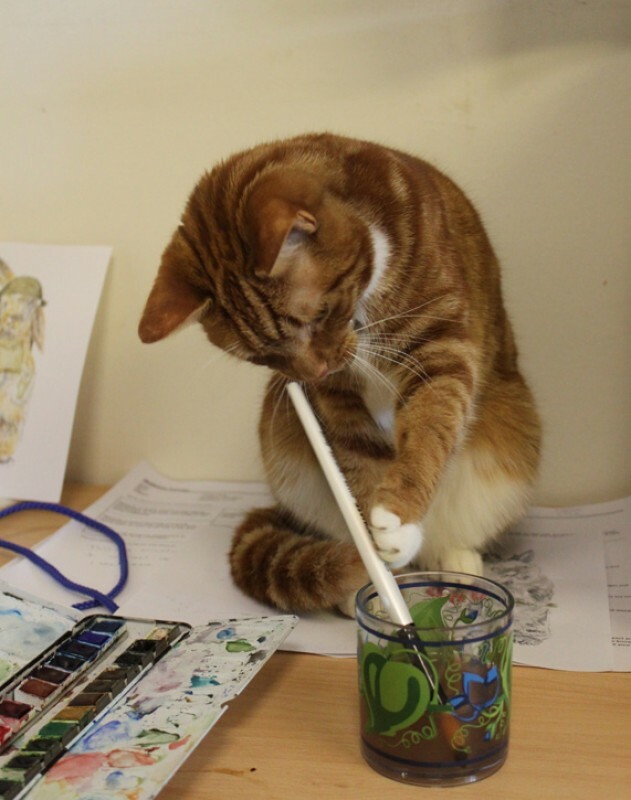 Art UK: What is your best advice in how a good gallery and museum should be run, especially by a Cat-in-Charge? Jock: The trick is to make it look easy, but there’s a lot of hard work that goes into being a Jock-of-Chartwell. I’m very famous you see and we get visitors from all over the world wanting to meet me and have photos with me. In addition to this I have practical tasks to undertake, such as mousing and dusting under the bed in Lady Churchill’s bedroom (at least that’s what I tell them I’m doing when I sneak under there for a cat nap!). There’s also lots of media attention so I have to be on top form at all times. The best bits though are when the sun comes out. I love playing outside and enjoy nothing more than exploring around the orchard or helping the garden team in our Kitchen Garden, but even then I try to always be camera-ready! Art UK: So, are you popular with visitors too? Jock: Well, I like to think so. I do try to get out lots to see all our visitors, though with 80 acres to get around it can be tricky to see everyone. I do get lots of offers of cuddles and have even been known to receive fanmail, so I like to think that my efforts are appreciated. 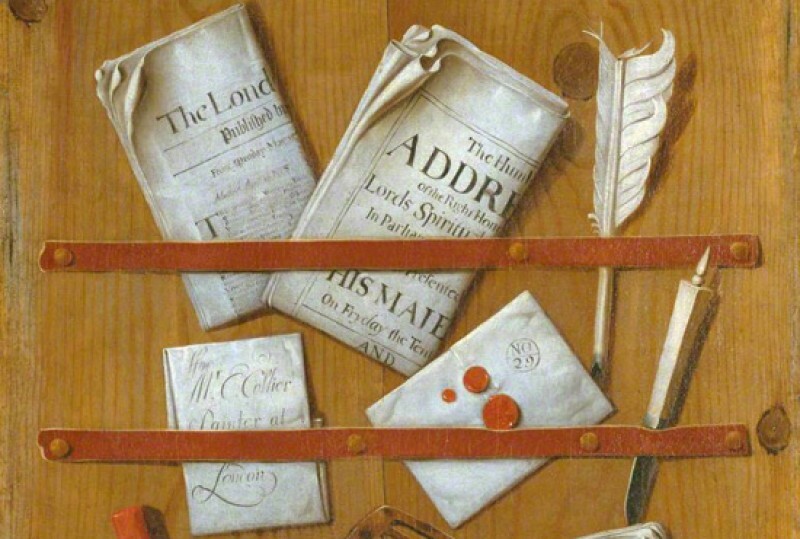 Art UK: So, how do you keep in touch with your fans? Art UK would like to thank Katherine Barnett, House and Collections Manager at Chartwell, for arranging this interview.